The traditional picnic basket embraces true British tradition. A visit to the countryside park or a walk to the beach - this basket is ideal for the whole family. 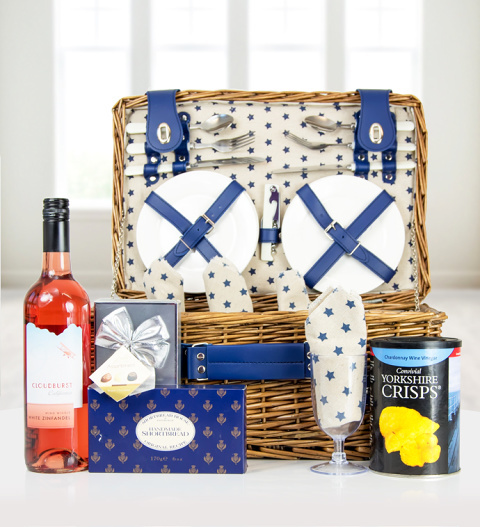 Complete with safety plates, safety glasses, cutlery, cloth serviettes, a waiter's friend, luxury chocolates, crisps, wine and other goodies: this is a picnic basket sure to impress! The traditional picnic basket is available for UK next day delivery.